The bees that Jeff keeps are known as Italian bees. 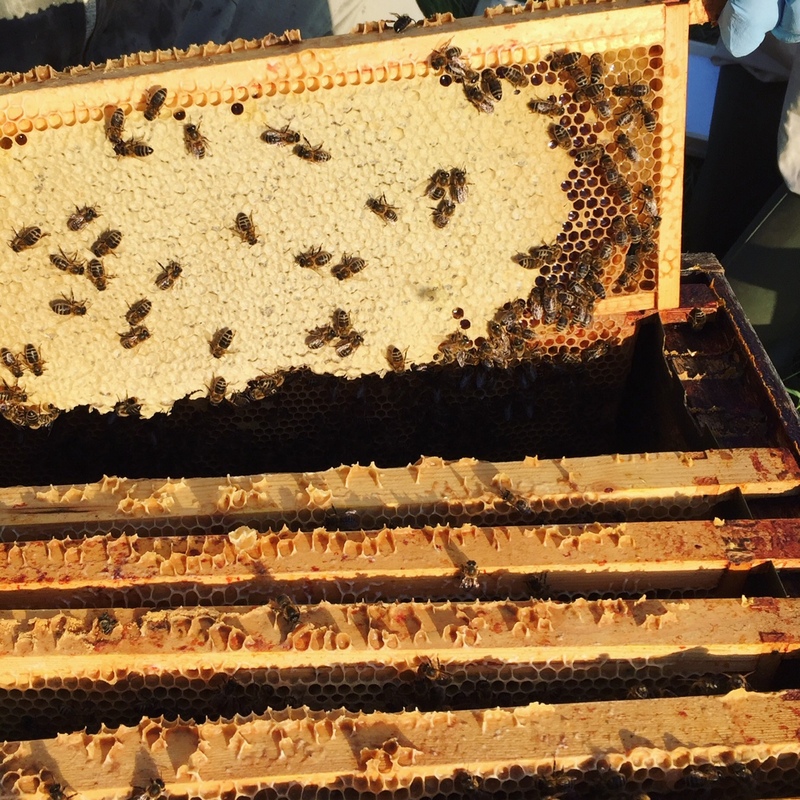 They have a good temperament and we were so surprised at how calm the bees were as we gently removed surplus frames, using a soft brush to ease the bees back into the hive. 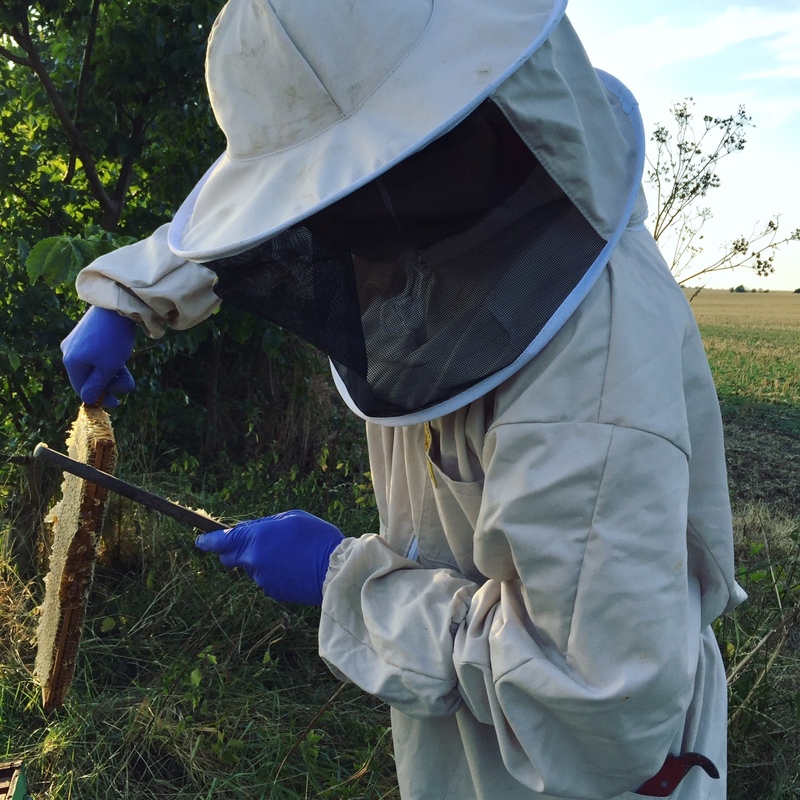 We used a smoker to help calm the bees. 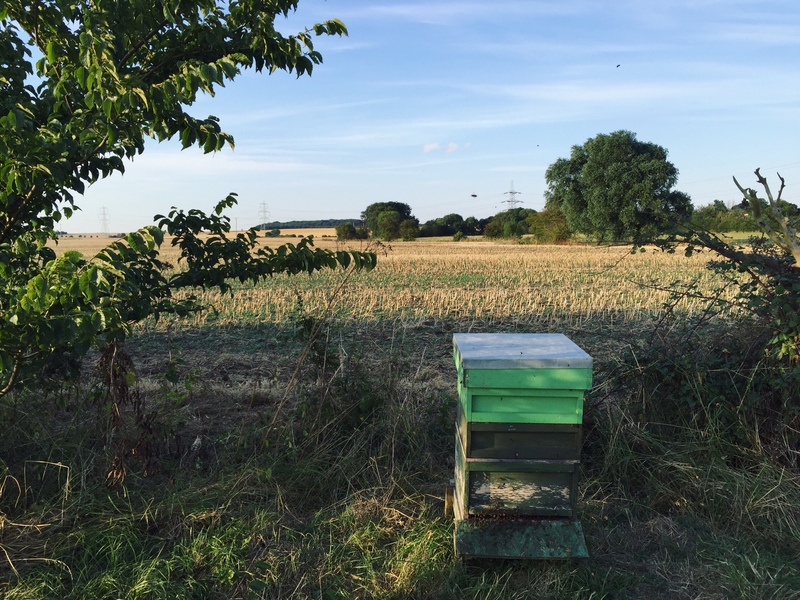 But given that we removed 50 frames, from the row of hives, the bees were not really bothered by our presence. 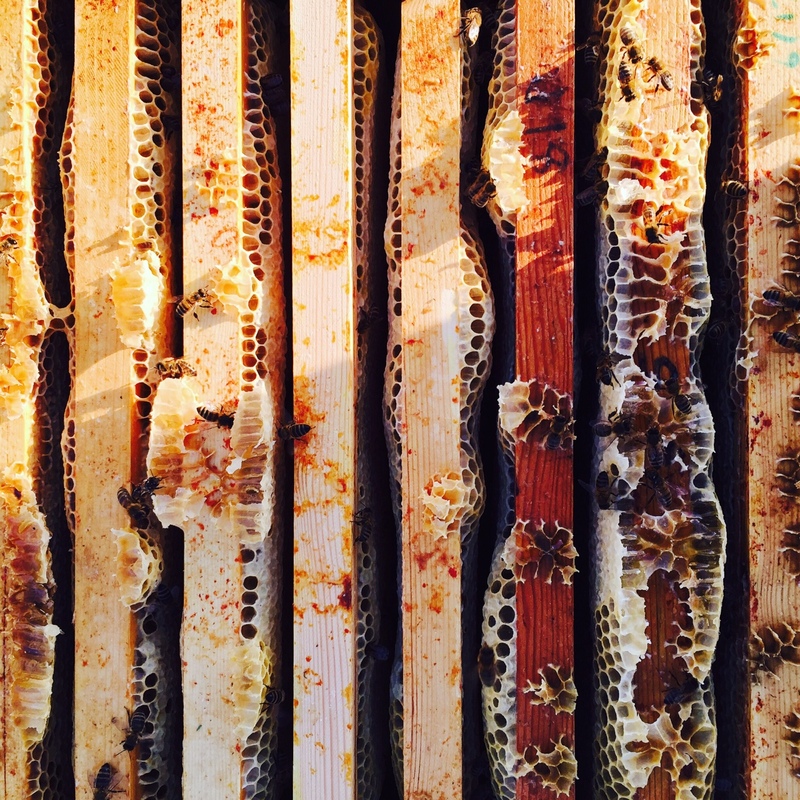 Fifty frames may seem like a lot, but we left plenty of honey in each hive and replaced the supers with empty frames. As the winter approaches, the colony will die away, leaving a core colony known as “winter bees” that will stay with the queen in a tight rugby ball shape, keeping the colony warm. 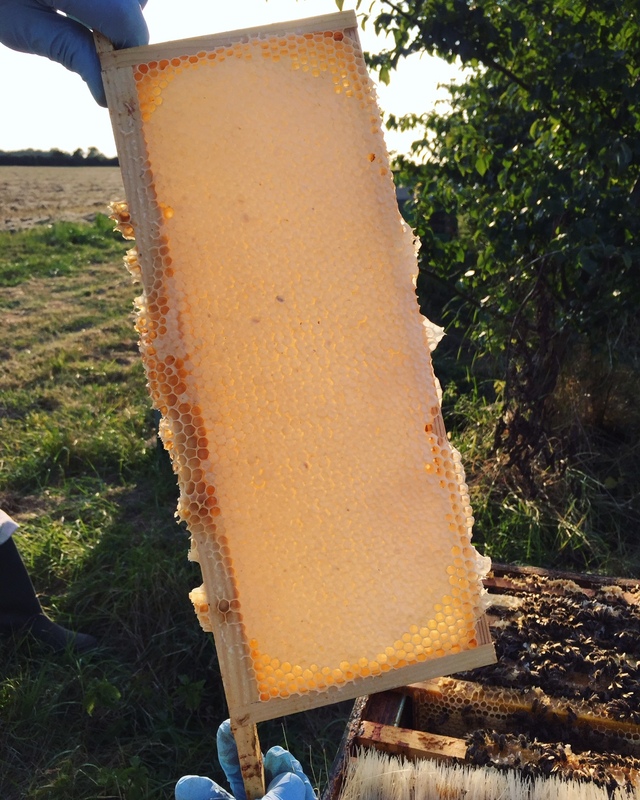 Supers are removed from the hive to create a smaller space which helps the hive stay warm and compact.